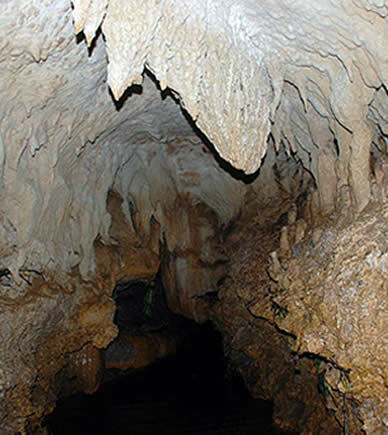 La Gruta Cave: a small bat cave located by the "Colonia Santeña" neighborhood, on the road from Bocas Town to Boca del Drago. 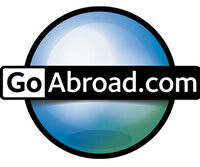 Info about how to get there on your own. Nivida Cave: navigate up the Bahia Honda River, hike for about 30 minutes and you'll then reach the Archipelago's most spectacular cave which is located in the Bastimentos National Marine Park. 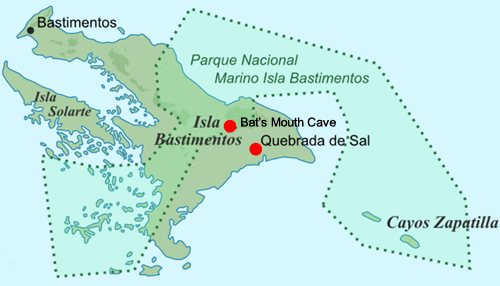 Bat's Mouth Cave: another bat cave in Bastimentos Island, which is accessed from the Salt Creek Village, after a 1.5 hour hike through the rainforest. 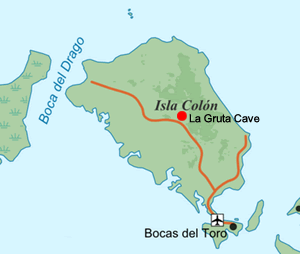 How to Get to La Gruta Cave? On the road from Bocas Town to Boca del Drago, about half way to Drago (about kilometer 13), you'll reach the Colonia Santeña, a small village of cattle farmers founded by inhabitants of Panama's Los Santos province. To get to Colonia Santeña you can either cycle from Bocas Town or take the bus that travels to Boca del Drago and leaves the Central Park every couple of hours. 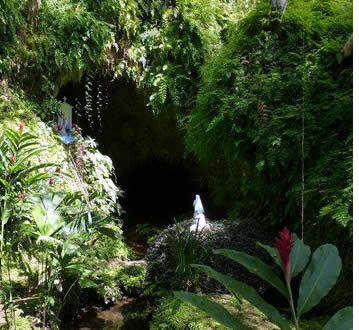 Once you arrive to Colonia Santeña a small trail leads to the entrance of La Gruta Cave marked by a small chapel and a statue of the Virgin Mary. An entrance fee of $2 is collected and then you're free to explore the cave. Going through it shouldn't take you more than 5 minutes. A small stream will lead your way. Once you reach the other side, you can come back using the same way our you can go around it and you'll reach the road to Drago. For those who haven't been in a bat cave before, La Gruta provides you with a good taste of the caving experience as the water isn't that high and the cave isn't that long. 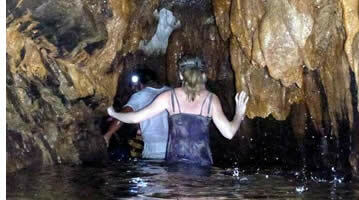 Bocas del Toro's caves are not for the squeamish or faint of heart! Besides being in a dark, humid and enclosed space (don't forget to bring your headlamp and/or flashlight!) you'll have to go through cool water, sometimes chest high, which receives bat droppings. The stream fortunately washes everything away and keeps it fresh! 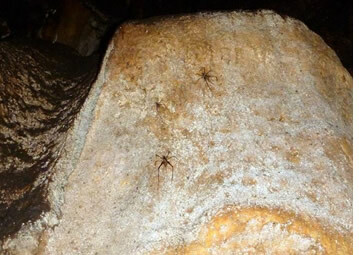 And the caves are also home to many cave creatures including spiders of all sorts. Departing from Bocas Town you'll make your way by motorboat through the western channel	between Bastimentos and Solarte Island until you enter the mirror flat waters of the mangrove estuary of Bahia Honda. Along the way, you'll be able to appreciate some of Bocas' typical homes built on stilts over turquoise Caribbean waters, some of which are located in front of islets no larger than your own backyard. This first part of your journey takes about 25 minutes. After navigating through some patches of mangrove vegetation, you'll enter a winding river surrounded by mangrove forest where you can spot lots of crabs, small fish and if you're luck enough a three-toed sloth or two. You'll surely enjoy the magical tunnel formed by the branches of the trees closing the sky above you: it's the perfect prelude to the caving experience that awaits you. This second part of your adventure up the river takes about another 25 minutes until you arrive at a makeshift pier where you get off the boat and start the easy hike to the cave. From the pier, you'll hike until you reach the cave guide's house. During this hike, you'll walk along some pineapple plants and some banana trees. At the guide's house, you'll be asked to wait a short moment while the guide brings the headlamps for the cave visit. 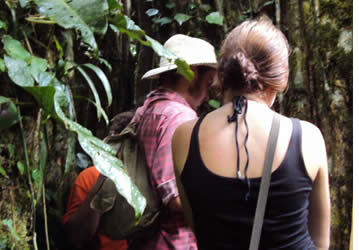 From there, you continue the hike to the cave through a cacao plantation and rainforest. Along the way, you can see birds, sloths and red frogs. It's about a 30 minutes hike from the dock to the cave. A good pair of closed shoes is advisable as this hike can be a bit muddy. You could also use boots, but they might hinder you in the cave as the water comes up to your chest in certain parts. And finally you'll reach the entrance of the cave. It's time to work up your courage and follow your guide. Don't worry about getting lost as there is only one way out. The temperature of the water varies but it never gets too cold and sometimes it gets up to your chest. Inside the cave you'll see bats hanging from the ceiling and flying around, as well as crickets and also spiders. They like the fresh and humid air in the cave. Besides animal life, you'll also encounter gorgeous stalagmites and stalactites. Warning to the tall boys and gals: the cave's ceiling in several parts is quite low, so watch your head! At one point, the water becomes chest-high: this is the point where the guide gives you the option of turning around if you have young children with you, or to keep going. Another 5 minutes of walking through the water and you'll arrive at the spring that is the source of the stream. Here you'll find a small natural pool in which you can splash around before heading back to the boat. The total amount of time spent in the cave is about 50 minutes. * Prices are in US Dollars. The above prices are per person and do not include Panama's 7% ITBMS Sales. 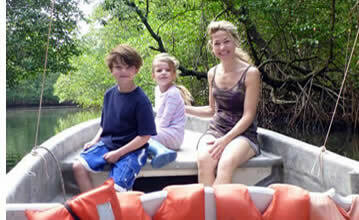 Rates include boat transportation, guide and flash lights. A minimum of 3 guests is required to book any of these tours. Tour itinerary can change depending on sea conditions. Depending on water levels, for example if it has rained a lot, this tour might not be possible. However, the only way to find out, is going there. In case you cannot complete the tour, you'll receive a $10 refund. You can talk with your boat captain about going to Red Frog Beach or doing one of the other Bocas del Toro boat tours if this happens. From Bocas Town to Quebrada de Sal, it's about a 45 minute boat ride. 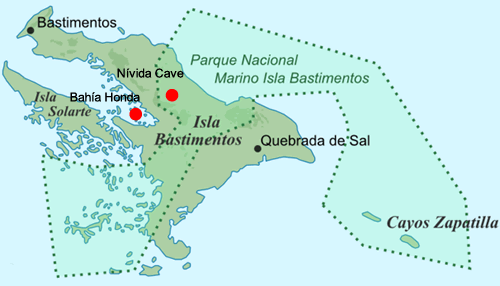 To get there you'll have to pass through Crawl Cay and then continue up north until just before Punta Vieja in Bastimentos Island. 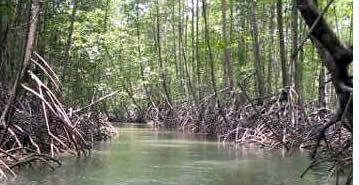 Once you reach the shore, you'll have to continue up a small river mouth that takes you through a very dense mangrove forest until you arrive to a small pier which marks the beginning of the Salt Creek community. Once at Salt Creek you'll be able experience a short visit through this indigenous community to learn more about their way of life. You'll also have the opportunity to purchase some handicrafts which will be very much appreciated. Here you'll meet your guide and get ready to start the hike. This is a true jungle hike which takes about 1 hour each way. If you're lucky enough you might be able to see monkeys, red frogs, parrots and other sorts of birds, butterflies, sloths and medicinal plants. 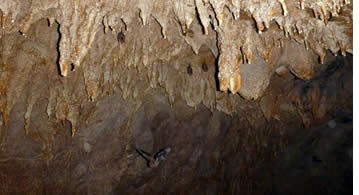 This cave is also full of bats, although it's not as long as its counterpart the Nivida Cave. The water shouldn't pass your knees and once you reach the end of the cave, you'll have to come back through the cave itself. Caving time is about 20 minutes. 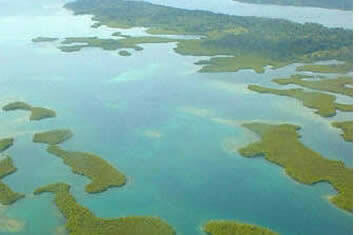 Explore the Bocas del Toro Archipelago! Encounter the dark side of Bocas... Contact us!